The United Nations named Spirulina the “food of the future’ in 1974, though I feel it has gone a long way in terms of global recognition as a functional food it still has not reached its full potential. 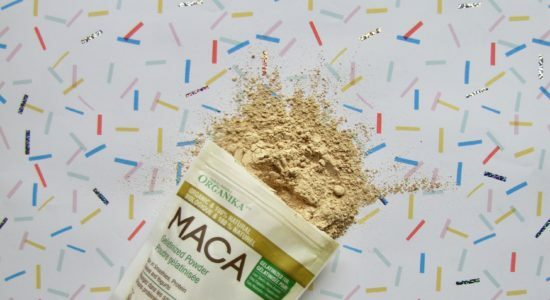 If you are new to this superfood or perhaps you have been using it for quite some time, I hope this article will open your eyes to this algae’s benefits and functionality as a complete protein and nutrient-dense food. Spirulina is a filamentous prokaryote, free-floating (eds.Verma, et al., 2018), single-celled cyanobacterium, blue-green algae. There are two species Arthrospira platensis and Athrospira maxima, though there are approximately 35 different varieties between the two species. Spirulina is a primitive species and has evolved slowly over 3.5 million years, developing as a way to fix atmospheric conditions such as turning carbon dioxide into organic compounds through the use of water (ed. Gershwin, M.E., & Belay, A., 2008) (Tietze, H.W., 1998) (Capelli, B., & Cysewski, G.R., 2010). To this day Spirulina produces along with other microalgae approximately 60% of the worlds oxygen levels (Piccolo, A., 2012). Spirulina derives its name from its small spirally frame. (Dillon, J.C., Phuc, A.P., Dubacq., J.P., 1995). It has an open helix, which allows the filaments to move freely around the axis. Spirulina is up to 1mm in length and has a diameter that ranges from 1-3 um to 3-12 um in larger varieties of the microalgae. This shape is only present when Spirulina is immersed in a liquid solution. When out of a liquid, such as water it transforms into a spiral like appearance (eds. Pandely, A., et al., 2014). Spirulina grows under strong sunlight, high temperature, in a very alkaline and warm salt water environment – sometimes reaching 11 on the pH scale (Piccolo, A., 2012). 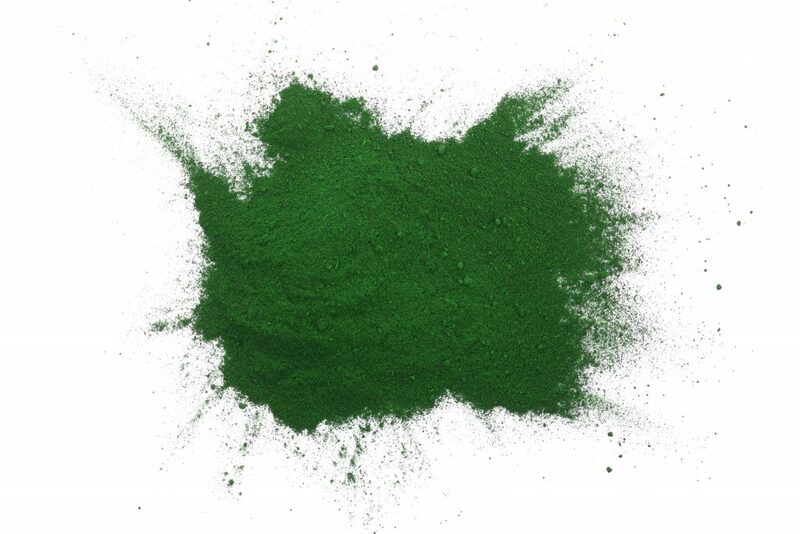 The optimal temperature of growth for spirulina is 35-38 degrees Celsius. It cannot be sustained if the temperature dips below 15-20 degrees(ed. Prasad, K., & Siddiqui, M.W). This temperature is often concentrated between the Tropic of Cancer and Tropic of Capricorn (Piccolo, A., 2012). The quality of Spirulina varies with the seasons. It is strongly affected by the amount of sunlight that it is given, as well as the mineral and nutrient quality of the water. (Yietze, H.W., 1998). As with all products, if the harvesting, drying and processing of it are not done correctly the nutritional quality of the algae can be strongly affected. Algae has been used as food since prehistoric times, Spirulina is such a food, who’s culinary history is dominated by two specific cultures, the Aztecs and the Kanembu people. (ed. Gershwin, M. E., & Belay, A., 2008). 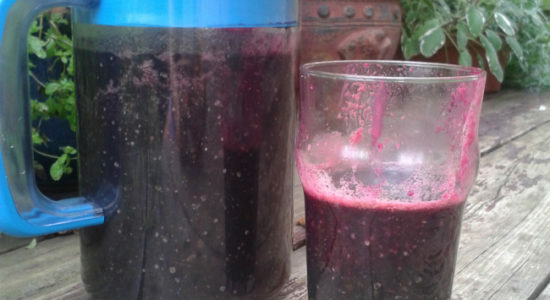 The first written record of Spirulina as food was in 1521 by Bernal Diaz del Castillo – a Spaniard of Cortez’s troop, who reported on the harvesting of Spirulina from Lake Texcoco(ed. Gershwin, M. E., & Belay, A., 2008) Spirulina was named by the Aztecs tecuitlatl which means ‘stone excrement’ (eds. Kiple, F., & Ornelas, K.C., 2000). They would skim the spirulina off lakes, ponds and rivers usually around the floating gardens that they had created in the marshes of Lake Texcoco. The Aztecs would make Spirulina into loaves by combining it with starch from maize (Hills, C., 1980), allow these loaves to sundry and would eat the loaves as if they were cheese or cold cuts, in slices. 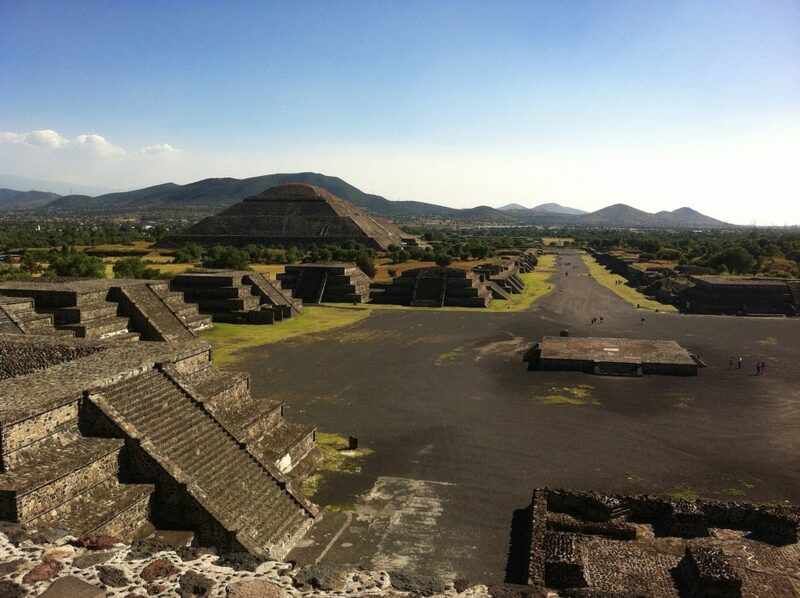 The Aztecs also combined Spirulina with another of their beloved produce, Cacao. The Republic of Chad has the largest natural Spirulina lake – Lake Chad. (Tietze, H.W., 1998). The Kanembu people, a native tribe, reside near Lake Chad and meet their living and dietary needs off of Spirulina. They consume it as a cake named ‘dihe’, about 10-12g a day. (ed. Gershwin, M. E., & Belay, A., 2008). It provides them with a source of protein, minerals and vitamins. (Tietze, H.W., 1998). 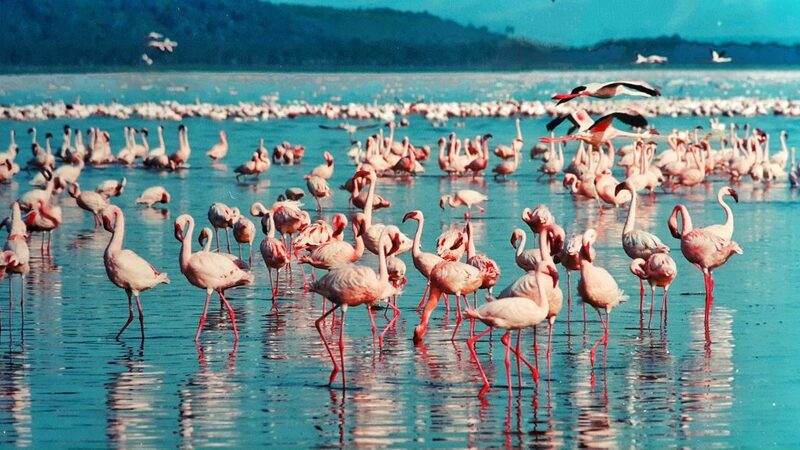 There is also a very high production in the Great African Rift, where flamingoes feed off of Spurilina as a way of sustaining them. In turn, it provides them with their bright pink colour (Piccolo, A., 2012). 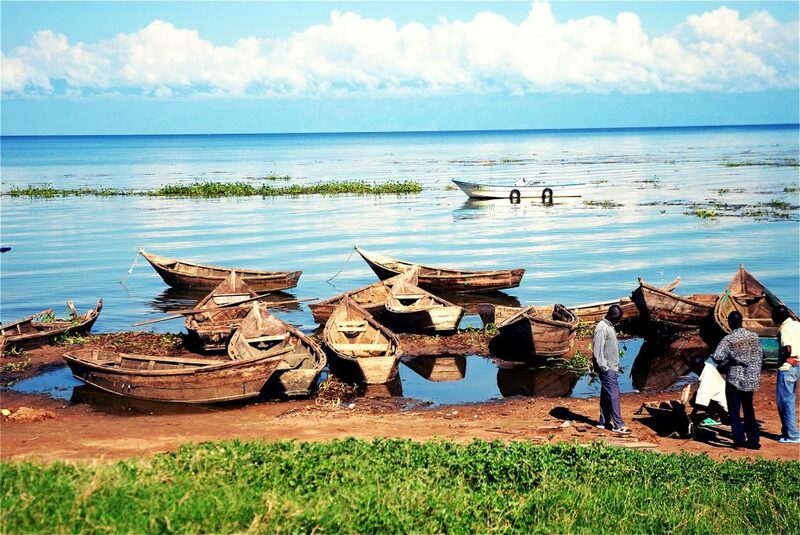 Kenya is the centre of Spirulina production in the African Rift, primarily around Lake Victoria. It is mainly sold at local markets and as a way to feed malnourished children and adults (Piccolo, A., 2012). It is also the home of two organizations that empower fishers and women and educating them on how to make a living off of growing and harvesting Spirulina. Commercial Harvest of Spirulina began around the 1970’s. As of 2008, 22 countries have been producing Spirulina and it is now consumed by 77 countries. It is estimated that production will increase in 2020 to 220,000 tons annually (Maradona, R.M., 2008). Spirulina had also been used as a feed for farmed fish. It is a fact, that fish developed in their natural habitat are healthier to consume (when consuming a sustainable fish). Adding spirulina into fish food makes the feed more palatable and the fish, in turn, are of better quality. They have firmer flesh, better flavour, brighter colour to their flesh (thus they do not need to colour the flesh – they do that!) and are more nutrient dense. (Vonshak, A., 1997). The wonderful green algae, spirulina, is a very functional food and a great whole food supplement. Not only is it rich in vitamins and minerals, it detoxifies, strengthens and balances your body. Spirulina is a rich source of B Vitamins, antioxidants such as Vitamins C, D and E, as well as being a rich source of mineral nutrients such as potassium, magnesium, iron, zinc and calcium (ed. Kim, S.K., 2015). Spirulina is an amazing source of protein – approximately 60-70% of its dry weight is highly digestible protein (This is also a way to see if the Spirulina quality is good, if less than 60% of the dry spirulina is protein it is probably not of good quality) (ed. Kim, S.K., 2015) . It is also a complete protein, meaning that it has all the necessary amino acids – just like eggs (Layam, A., Reddy, C.L.K., 2007). Amino acids leucine, isoleucine and valine are quite high in concentration, whereas methionine, cysteine and lysine are found in a far lower amount in comparison to an animal source of protein (ed.Kim, S.K., 2015). Spirulina contains an active form of B12, it is easy to be metabolized in the digestive tract, aiding in eliminating B12 deficiency anemia. Make sure that the facility that processes Spirulina it is not irradiated or overheated as it can cause the metabolized B12 to lose its effect. Beta-carotene, Xanthophyll and Zeaxanthin are all a type of carotenoid (and are all found in Spirulina). These nutrients have anti-cancerous benefits, as well as being very heart protective on account of their antioxidant potential. Reduce inflammation to the skin, making them great for individuals with eczema, rashing and psoriasis (Haas, E.M., & Levin, B., 2006). Spirulina has more vitamin A than any other plant on the planet – it aids in lowering blood glucose levels, reduces the risk of cancer and prevents eye disease (Meyer, M.E., 2016). Chlorophyll gives plants their vibrant green colour as well as providing plants with a way to trap sunlight and turn it into energy and nutrients. Magnesium is the focal point of chlorophyll, therefore providing a good source of magnesium, which aids in promoting good bowel health, relaxation and bone development and strength. Chlorophyll aids in detoxification (of blood and lymph), purification, strengthening the liver and kidneys and aiding them in cleansing the body. It has also been shown to possess antimutagenic properties (Haas, E.M., & Levin, B., 2006) (Meyer, M.E., 2016). Gamma-linolenic acid has the most anti-inflammatory compounds from any other omega-6 fatty acid (Haas, E.M., & Levin, B., 2006). It aids in reducing excess fats in obese individuals (Talbott, S.M., 2003). GLA has also been proven to prevent fatty liver disease (eds. Gershwin, M.E., & Belay, A, 2008). It is a precursor of prostaglandins which benefits skin, hair and nail health (Meyer, M.E., 2016). Fermentation of Spirulina releases polyphenols and converts phycocyanin into phycocyanobilin; which is very beneficial for skin and gut health. It also enhances lactobacillus rhamnosus in the digestive tract (eds., Prasad, K., Siddiqui, M.W., 2007). Fermented Spirulina is said to have a more pleasant taste than raw spirulina and several plant compounds are made more potent through the fermentation process (Fan, J.F., 2013). 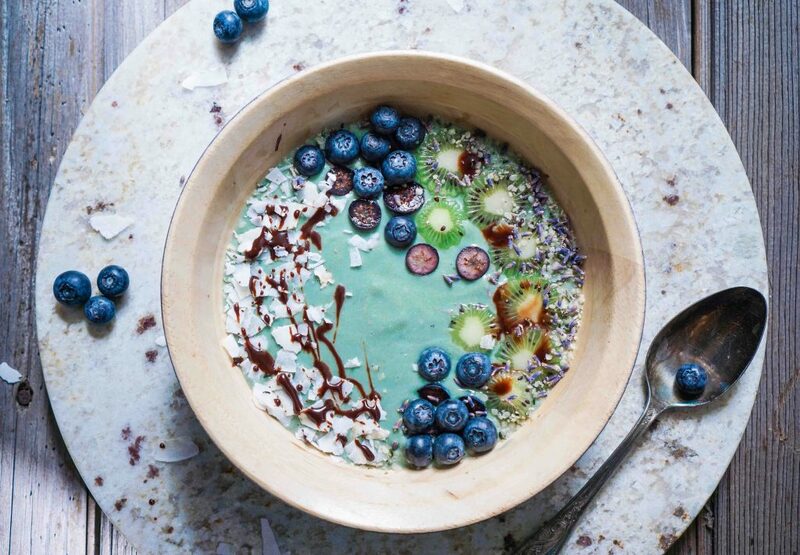 Spirulina can be added into yogurt to ensure a more nutrient density and provide greater strength to the probiotic counts (commercial yogurts are susceptible to losing their probiotic count over time, primarily due to the fact that the milk is pasteurized)(Beheshtipour, H., et al., 2013). As it ferments, it itself provides the probiotic lactobacillus rhamonsus, which has been shown to be very beneficial against vaginal infections, bladder infections and STD in women (Reid, G., et al., 2003). As Spirulina is often grown openly in natural bodies of water there are issues of contamination. Guidelines for commercial production need to be strongly upheld to prevent any contamination. In the 80’s testing had found traces of mercury and lead in spirulina samples, however, after further testing it was determined that the levels were okay (as naturally mercury and lead will be present in water, and most of the levels were a result of a secondary output from the Iron found in Spirulina)(Slotton, D.G., Goldman, C.R., Franke, A., 1989). Many degenerative diseases are caused or aggravated by free radical damage. The consumption of Spirulina aids in bringing in rich antioxidants and alkalinity to the body, which fills the body with oxygen, stimulating the circulatory system and lymphatic system benefiting the body. The body may not heal overnight, it will take time. But with continued use, of a therapeutic dosage positive changes can be made (Belay, A., 2004). (Umesh, B.V., 2002) (Vonshak, A., 1997)(Capelli, B., & Cysewski, G.R., 2010). The World Health Organization has stated that approximately 2 billion people have anemia worldwide and about 1.7 billion do not consume enough iron leaving them at risk of developing a type of anemia (eds., Prasad, K., & Siddiqui, M.W., 2007). Anemia is a great cause of hospitalization especially of the elderly. Vegetarian and vegan diets, as well as the consumption of nutrient-poor foods, can result in inadequate amounts of iron presented to the system. Furthermore, poor gut health, which is another very common issue today, can also prevent the absorption of B12, resulting in another form of anemia and leading to a lack of energy and poor brain function. 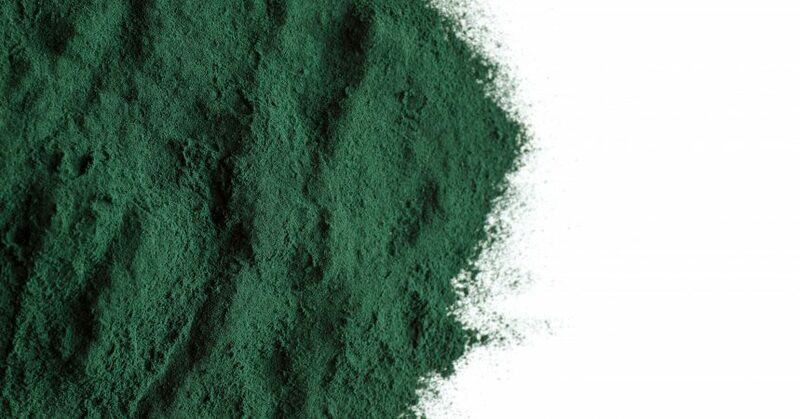 Spirulina is a rich source of iron (Selmic, C., 2011) (Kharrazian, D., 2013). Taking 4-5g of spirulina for the treatment of marginal iron deficiency can be as effective as taking Iron supplements – aids in the increasing the blood hemoglobin levels in anemic adults (eds., Prasad, K., & Siddiqui, M.W., 2007). Spirulina has been shown to increase levels of hemoglobin (Selmic, C., 2011) (Kharrazian, D., 2013). Anti-ageing often goes hand in hand with life extension. You want to feel and look as youthful as possible. A healthy diet and positive outlook on life can aid with this. There are issues that you can control, such as what you eat, drink, your physical activity, sleep -your genetics you can’t change, but they only affect you a little. There is also the environment and toxicity, making sure you detox and keep your living space clean will all have a positive effect on your health. Spirulina will not prevent you from ageing but it will allow you to age with grace and that is what we truly want to obtain. The abundance of antioxidants, phycocyanine, chlorophyll and polysaccharides as well as Vitamins C and E all aid in age prevention (Das, D., 2015). Cancer cases in recent years have increased greatly. Cancer risk factors are inherited, environmental and your own emotional and physical well being and health. More stress, processed foods, sugar and environmental toxicity place a very heavy burden on the body, mutations in the body are more likely to occur (Murray, M.T., & Pizzorno, J., 2012). IV injections of 100 micrograms of Spirulina has been shown to significantly reduce the colonization of tumours in the lungs. 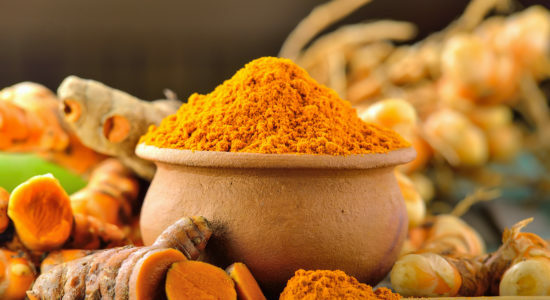 Furthermore, it has been shown to increase the power of T killer cells, thus aiding in the fight against tumours and cancerous cells (Sircus, M., 2015). Spirulina aids in the prevention and treatment of oral cancer with just 1gram per day for a 12 month period. During this time regressions to oral cancerous lesions occurs (this is particularly good for individuals who chew tobacco) (Talbott, S.M., 2003). Atherosclerosis is a term used to describe imbalances in the cardiovascular system, such as coronary artery disease or heart disease. A few major risk factors for atherosclerosis are; smoking, insulin resistance, diabetes, high blood pressure, inactivity, high/imbalanced cholesterol levels (Murray, M.T., & Pizzorno, J., 2012). Spirulina is beneficial against atherosclerosis, aiding in improving leptin resistance and inhibiting the secretion of leptin (Selmic, C., 2011). A chronic disease, diabetes is a disorder of carbohydrate, protein and fat metabolism in correlation with blood sugar levels. Diabetes can happen if the pancreas is not working optimally resulting in not enough insulin being created and cells not being able to take up glucose. Another way is when there is too much glucose in the bloodstream, this can tier out insulin receptors especially when they are already working slowly.Therefore having a well-functioning liver and pancreas helps to balance the release of insulin – maintaining a steady balance- preventing sudden drops or spikes in blood glucose (Murray, M.T., & Pizzorno, J., 2012). Spirulina aids in balancing blood sugar levels by increasing the susceptibility of the liver in its uptake of glucose (Ciferri, O., 1983). The high levels of beta-carotene in Spirulina make it very beneficial for improving and maintaining good eyesight as well as preventing night blindness. Children given 1g/day of Spirulina have been shown to prevent Vitamin A deficiency improve eyesight and cognitive function (Talbott, S.M., 2003). This complex system is what protects your body from infection and diseases; and if it is working well putting an end to cold, flu and even cancer. The immune system is comprised of many different systems in the body such as the thymus, digestive tract, the entire lymphatic system and white blood cells. When you are under great stress, experience a traumatic event, eat a poor diet and do not partake in regular activities it is likely that your immune system is not doing its best (Murray, M.T., & Pizzorno, J., 2012). Spirulina has been shown to increase antibody counts, aiding in boosting immune response and stimulating the functionality of phagocytosis and macrophages (Hayashi, O., Katoh, T., & Okuwaki, Y., 1994). Many elderly individuals suffer from immunological dysfunction, which is characterized by an ageing of the immune system – resulting in a reduced ability to fight off infections. It is often a result of a lack of adequate nutritional intake into the body. As we age the amount of food one requires and eats does being to decrease, therefore it is very prevalent that proper dietary choices are made. Consuming processed, nutrient poor and acidifying foods takes a negative toll on the body. Low hemoglobin counts (such as anemia – various types -the main reason is that red blood cells do not mature properly and cannot, as a result, carry oxygen throughout the body) is linked to immunological dysfunction. Spirulina not only provides the necessary nutrients to boost energy and immune function but also aids in restoring B12 and Iron levels in the body (Selmic, C., et al., 2011). Spirulina increases populations of Lactobacillus and Bifidobacterium in the digestive tract. It acts as a prebiotic, feeding the good bacteria. Spirulina also aids in eliminating the toxic load in the digestive tract, this benefits the good probiotic counts in the gut as it eliminated the food that feeds that bad bacteria. Spirulina aids in healing the digestive lining and increasing nutrient absorption also reduces the nutrients that bad bacteria can thrive off of (Baley, A., et al., 1993). The main cause of AIDS (acquired immunodeficiency syndrome – it is the last stage of HIV infection) is by an infection of HIV (human immunodeficiency virus). HIV does not kill, however it does deplete and wear down the immune system to the point that it cannot protect the individual infected (Murray, M.T., & Pizzorno, J., 2012). A dosage of between 5-10g a day can aid in inhibiting HIV-1 virus. It aids the suffering of HIV/AIDS patients, by aiding them to positively gain weight and move through life with more ease. Moreover, when the virus attacks cells in the body it will attach itself to the cell’s cell membrane or cell wall in hopes of penetrating it. The regular consumption of Spirulina will prevent this from happening. The virus will not be able to replicate itself and the body’s natural defence mechanisms will over time be able to eliminate it (Piccolo, A., 2012). Whole Raw Spirulina has most of the nutrients in it that are beneficial for individuals with HIV/AIDS; Vitamin A, Beta-carotene, Folic Acid, Vitamin B6, B12, Vitamin C, E as well as Magnesium (Murray, M.T., & Pizzorno, J., 2012). The consumption of Spirulina aids in reducing the toxicity load on kidneys which is caused by heavy metals such as mercury and lead (ed. Gershwin, M.E., & Belay, A., 2008). It is also protective against pharmaceutical damage to the kidneys, which can cause renal toxicity, such as para-aminophenol, gentamicin and cisplatin (Belay, A., et al., 1993). 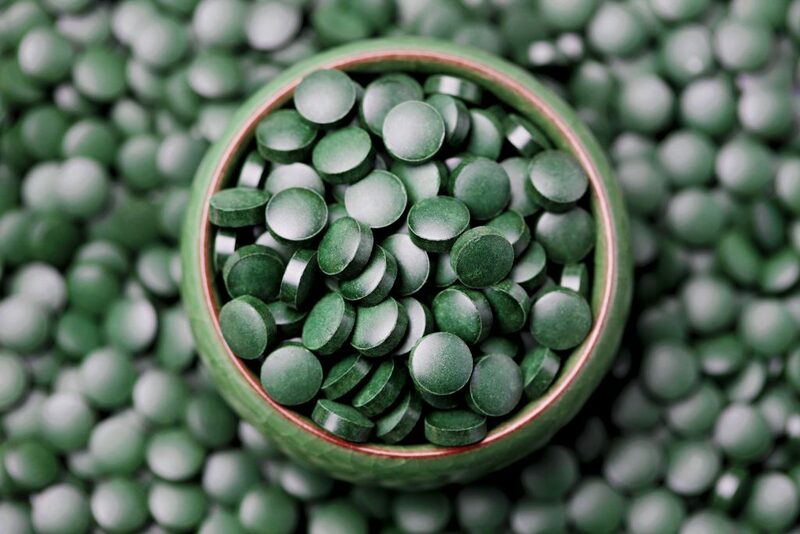 Spirulina has been shown to be very beneficial against liver fibrosis, which is a result of progressive connective tissue damage to the liver as a response to cellular damage (a result of oxygen deprivation) (eds., Gershwin, M.E., & Belay, A., 2008). Spirulina’s array of antioxidants, phycocyanins, carotenoids and phenolics all aid in cleansing the liver, rebalancing its ability to detoxify and restoring the cellular structure of the cells of the liver.(ed. Gershwin, M. E., & Belay, A., 2008). It is also very protective of liver damage which is a result of heavy metal toxicity (mercury and lead) (ed. Prasad, K & Siddiqui, M.W., 2017). It is also been shown to have positive effects on fatty liver disease (Selmic, C., et al., 2011). Fatty liver is a common cause of chronic liver disease – resulting in excess fat accumulation on the liver (5% or more and it is characterized as fatty liver). It is most commonly observed with people who suffer from alcoholism, obesity, diabetes, toxic build up or pregnancy. Spirulina aids in the prevention of the formation of fatty liver disease. 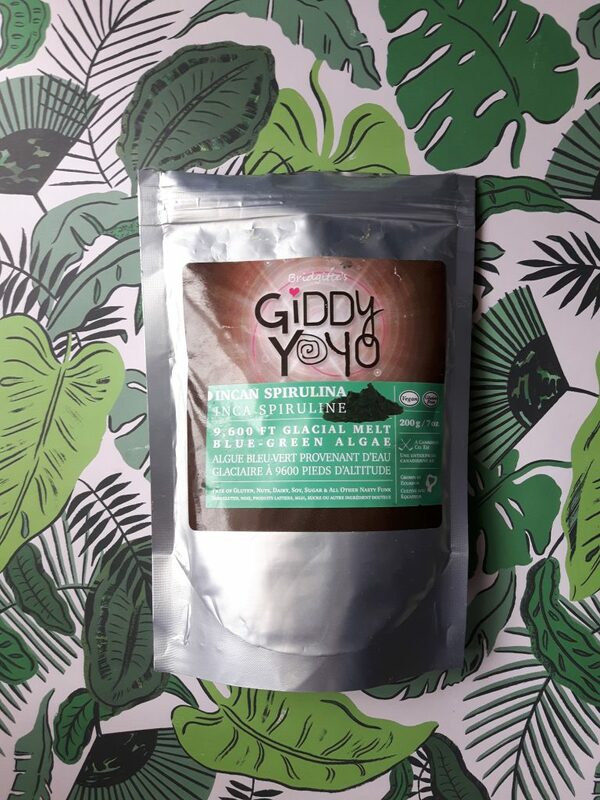 The combination of GLA, selenium, chlorophyll, vitamin A and phycobilins all found in Spirulina provide a great combination for healing the liver (eds. Belay, A., & Gershwin, M.E., 2008). Taking 2.5g/kg of body weight of Spirulina for a 4 week period aids in the prevention of fatty liver disease and improving the overall health and detox capability of the liver (ibid). Spirulina is an amazing source of linoleic acid also known as GLA. GLA has been shown to aid in reducing inflammation on the skin and within the body, being very beneficial for individuals with eczema and psoriasis. Spirulina, when used as a topical face mask, has been shown to improve skin moisture and bring strength to the skin’s immunity. It was also shown to improve one’s complexion and reduce the appearance of wrinkles. Furthermore, the supplementation of Spirulina on a daily bases has been shown to tighten skin, combat signs of early ageing and protect against sun damage (ed. Kim, S.K., 2015). In order to make hormones, one needs to have adequate cholesterol levels in the body. Hormones are needed for most of the body’s functions, without them, imbalances in the body will occur and you won’t feel your bost. When cholesterol levels are pushed too low by pharmaceuticals it negatively affects the brain. The brain is 1/5 cholesterol, without it neural function is not functioning (Murray, M.T., & Pizzorno, J., 2012). The consumption of Spirulina has been shown to reduce serum cholesterol levels, particularly triacylglycerol, LDL naturally. (ed. Gershwin, M.E., & Belay, A., 2008). Partaking in regular exercise, such as jumping rope, jogging, hiking or rebounding can bring up nitric oxide levels benefiting the body, stimulating the brain and aiding in the balance of healthy cholesterol levels (Kharrazian, D., 2013). High blood pressure or hypertension, are often a result of vessel constriction or the viscosity of blood. It leaves an individual at a greater risk of a heart attack or stroke. It is often a result of dietary choices, though genetics and environmental factors, as well as stress and psychological factors, come into play as well (Murray, M.Y., & Pizzorno, J., 2012). Spirulina reduces blood pressure (both systolic and diastolic) in hypertensive individuals (ed. Prasad, K., & Siddiqui, M.W). Obesity is an ever growing epidemic, Can you be overweight/obese and healthy? No, you cannot. Excess weight is extremely damaging to your health, both physical and mental. Obesity also results in a slew of other illnesses such as diabetes, heart disease, high blood pressure, cancer, insomnia, joint problems etc (Murray, M.T., & Pizzorno, J., 2012). Spirulina taken 3xday at around 5-10g for 4 weeks did show improvements in weight loss for individuals suffering from obesity (Becker, E.W., Jakoker, B., Luft, D., Schmulling, R.M., 1989). For both adults and children make sure to start with a smaller dose and work your way up. Though you can take between 5-10g a day it is best to start off with even 1g-3g and work your way up. A daily appropriate dosage of Spirulina as a functional food supplement is approximately 5g-10g/kg of body weight. A therapeutic dosage is one for about 15g/kg (eds. Prasad, K., & Siddiqui, M.W., 2017). Children can take a daily dosage of 1-2g a day. For a therapeutic dosage, a child can be given 2-3g. In Africa (particularly the Congo) treat malnutrition in children by mixing cereal with Spirulina, water and a bit of sugar (ibid). 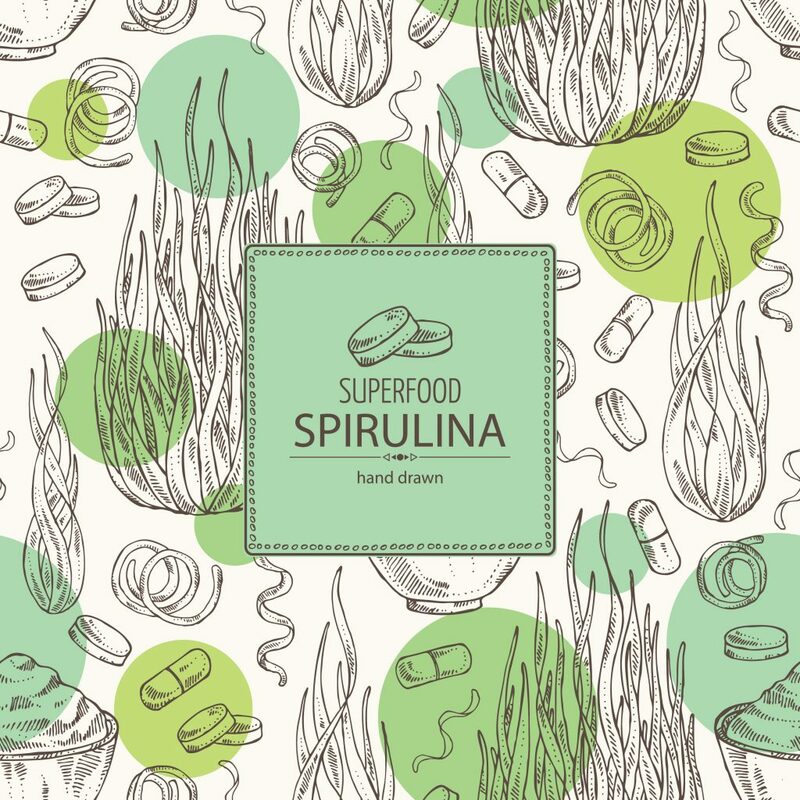 Anyone can take spirulina! Children, Adults and the Elderly. In many African and Asian countries, it is provided to pregnant women and infant children to provide them with a needed nutrient boost. It is a very beneficial functional food supplement for both men and women over the age of 50 (Selmic, C., et al., 2011). Always make sure to speak with your health practitioner before bringing something new into your diet. In very rare cases individuals can experience an allergic reaction to Spirulina. These reactions can come from Spirulina itself as well as cross-contamination with other foods. Make sure you know what type of facility it is being processed at as it may contain nuts, dairy or gluten cross-contamination can always occur (Das, D., 2015). Individuals with the metabolic condition phenylketonuria (PKU) are not able to metabolize phenylalanine (Das, D., 2015). Phenylalanine is an amino acid that is found in most food products, such as meat and dairy products, as well as oats and wheat germ. It is a precursor for Tyrosine, making it essential for the functioning of the body, particularly brain health (memory, learning and alertness). Individuals with this metabolic condition should be cautious about consuming Spirulina(Ibid). Spirulina may also counteract with certain Medications or make them more potent, therefore it is important to speak with your health practitioner before consuming any(Ibid). However, Spirulina is also a very extensively tested microalga. Serious and extensive safety studies have been conducted in relation to human consumption and supplementation of Spirulina ( as there were fears of cyanobacteria in microalgae – Spirulina is a type of microalgae). Spirulina was shown to have no toxic components to it. However, if the manufacturing processes are not ideal it can result in contamination of the culture (ed. Kim, S.K., 2015). Blue Spirulina, more correctly known as C-Phycocyanin, has become very popular, however, there are a few things that you need to know before you purchase it. Is it good? Yes, it is, however, when buying it make sure that you choose a reputable source, that is organic. It is not, however, the whole functional food spirulina, it is a secondary metabolite, so though it is extremely beneficial it does not have all the nutrients and protein that Spirulina has, so don’t be fooled by advertisements that say that it does. Phycobiliproteins are a water-soluble protein that harvests blue light. C-Phycocyanin is a type of this phycobiliprotein that provides Spirulina with its blue colour, which also has antioxidant, anti-inflammatory and neuroprotective benefits. In the industrial world, it is often used as a food and beverage colourant (ed., Waldron, K.W., 2014)(ed. Simpson, B.K., 2012). There are several different processes that C-Phycocyanin can be extracted from Spirulina. The disintegration of Spirulina cells and the proceeding extraction of water-soluble phycocyanin into aqueous media(ed., Waldron, K.W., 2014). Another way is by using brown rice husks to extract the pigment, however, the higher the shaking rate, the purity is reduced. This is a process that uses agricultural waste (brown rice husks) as a way to reuse and reduce waste(Taufiquarrahmi, N., et al., 2017). A further way is by ammonium sulphate precipitation and ultrafiltration which ensure a very pure source of C-phycocyanin (ed., Waldron, K.W., 2014). Phycocyanin has very strong neural protective agents against damage to the brain as well as aiding in the prevention of oxidative damage to cells (ed. Simpson, B.K., 2012). It has been used in medicine to aid in the destruction of atherosclerotic plaque as well as preventing the spread of cancer cells (ibid)(Pitchford, P., 2002). It has positive benefits for thyroid health, aiding in reducing inflammation and balancing T3 levels (bringing a beneficial controlled decrease). It also aids in reducing proinflammatory cytokine (eds. Gershwin, M.E., & Belay, A., 2008). In the 1970’s Spirulina started to emerge as a global “health food” and has since grown in popularity. Its production is very beneficial in Africa where it is grown to combat AIDS/HIV as well as malnutrition in infants, children and pregnant women (Piccolo, A., 2012). In India, as well as many countries throughout Africa and Asia, Spirulina can be used to feed children for 1-2 rupees a day (That is approximately, 6-12$US dollars annually). With just 1 gram a day malnutrition in children and infants can be corrected in a few weeks time, moreover, Spirulina also aids in improving physical and cognitive performance (IIMSAM, n.d.). In many coastal regions in Africa where fishing has been a livelihood for hundreds of years, it has now become less profitable as a result of commercial fishing and lower stocks of fish. The Intergovernmental Institution for the Use of Micro-Algae Spirulina Against Malnutrition of IIMSAM provides fishermen with a way to diversify from fishing. This organization as well as Kenya Marine and Fisheries Research Institute in Kisumu, are both located in Kenya and empower fishermen to move towards Spirulina production when fish stocks are low. They provide courses on how to grow Spirulina commercially and provide cultures to begin the growing (Piccolo, A., 2012). Investment in a system is very minimal, at approximately$500 US dollars for a tank (that is about 18m2) which can produce 150g a day. Not only is it geared at fishermen as an alternative to fishing, these organizations also empower women to generate a good income for themselves in rural areas. Not only can they make an income, they are also able to provide great nourishment for themselves and their family as well as their local community. IIMSAM benefits infants, children, pregnant women and adults in Iraq, the Congo, Peru, Colombia, Dominican Republic and Haiti (IIMSAM, n.d). The European Space Agency has chosenSpirulina as an essential food for long space flights. They have also begun to incorporate it into foods served astronauts at the International Space Station (Sircus, M., 2015). Asian sports physicians have been using Spirulina as a way to eliminate oxidative stress to damaged muscles post workout and increasing activity of superoxide dismutase. Spirulina also aids in the prevention of musculoskeletal damage and reduces exhaustion time when one works out (Meyer, M.E., 2016). China is the world’s largest producer of Spirulina today. They also consume a great deal of it as well. As a way to ensure that processed foods are more nutrient-dense, they have been adding Spirulina into the mix to provide a healthy boost. Spirulina has been added to; bread, digestive biscuits, green tea, noodles, health drinks, milk, bread and candy. 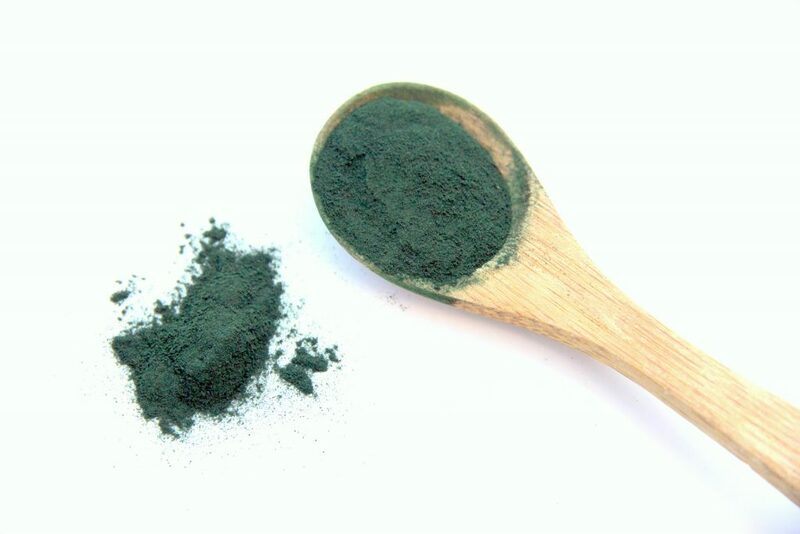 They are also using Blue Spirulina as a natural colourant in many food products (ed. Ang, P.O., 2004). Make sure to always store Spirulina in the fridge once it is open.When choosing Spirulina it is important to make sure that the source is Organic and that Fair Trade practices have taken place. Find what it easiest for you, tablet or powder. They also offer an Organic Spirulina 76% Dark Chocolate bar, a full bar providing you with 8g of protein and 30% of your daily recommended Iron. ed. Ang, P.O. (2004). Asian Pacific Phycology in the 21st Century: Prospects and Challenges. Springer Science + Business Media; Hong Kong. Becker, E.W., Jakoker, B., Luft, D., Schmulling, R.M. (1989). Clinical and biochemical evaluations of the alga spirulina with regards to its application in the treatment of obesity a double-blind study. Nutrition Reports International. Beheshtipour, H., Mortazavian, A.M., Mohammadi, R., Sodrabvandi, S., Darani, K.K. (2013). Supplementation of Spirulina plantesis and Chlorella vulgaris Algae into Probiotic fermented Milks. Comprehensive Reviews in Food Science and Food Safety. Volume 12, Issue 12, pages 144-145. Belay, A. (2004). New Scientific Developments in the Health Benefits of Spirulina. Nutritional Sciences. Volume 7, Issue 3, page 165-173. Belay, A., Ota, Y., Miyakawa, K., Shimamatsu, H. (1993). Current Knowledge of Potential Health Benefits of Spirulina. Journal of Applied Phycology. Volume 5, Issue 2, Page 235-241. Capelli, B., & Cysewski, G.R. (2010). Potential Health Benefits of Spirulina Microalgae. Nutrafoods. Volume 9, Issue2, page 19-26. Ciferri, O. (1983). Spirulina, the edible microorganism. Microbiological Reviews. Volume47, Issue 4, page551-578. Das, D. (2015). Algal Biorefinery. An Integrated Approach. Springer; New York. Dillon, J.C., Phuc, A.P., Dibacq, J.P. (1995). 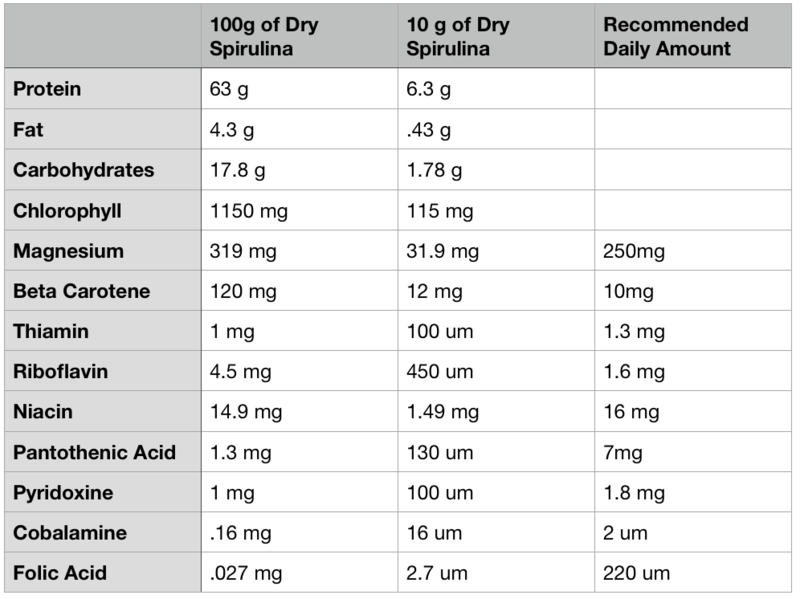 Nutritional Value of the Algae Spirulina. Plantin Human Nutrition. Volume77, page32-46. Fan, J.F. (2012). Effect of fermentation on flavour Compounds of Spirulina as Analyzed by GC-MS. Food Science. Volume 33, Issue 22, page 181-185.
ed. Gershwin, M.E & Belay, A. (2008). Spirulina in Human Nutrition and Health. CRC Press; London. Haas, E.M., & Levin, B. (2006). Staying Healthy with Nutrition. Celestial Arts; Berkeley. Hayashi, O., Katoh, T., & Okuwaki, Y. (1994). Enhancement of Antibody Production in Mice by Dietary Spirulina Platensis. Journal of Nutritional Science and Vitaminology. Volume 10, Issue 5, page 431-441. Hills, C. (1980). 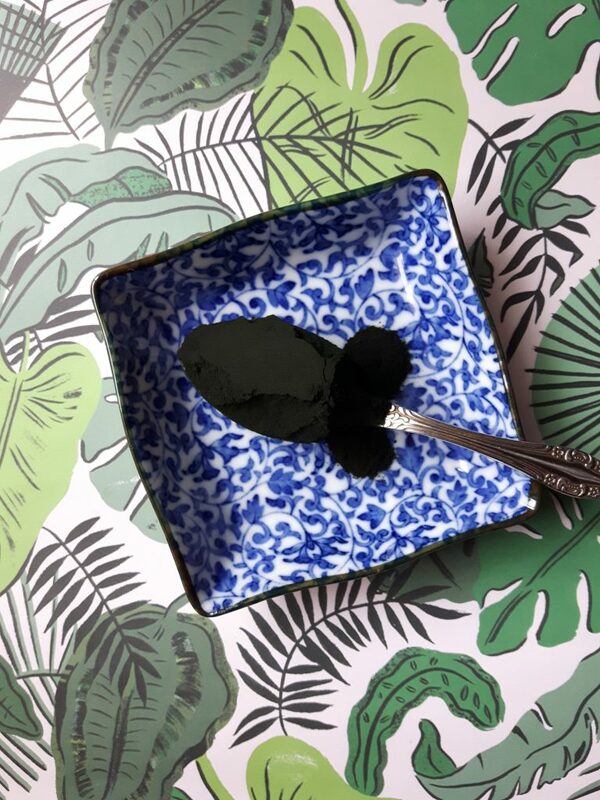 The Secrets of Spirulina. Book Baby. IIMSAM. (n.d.). What the United Nations says about Spirulina. Kharrazian, D. (2013). Why Isn’t My Brain Working? Elephant Press; California. eds. Kiple, K.F., & Ornelas, K.C. (2000) The Cambridge World History of Food. Volume One. Cambridge University Press; Cambridge. Layman, A., & Reddy, C.L.K. (2007). Antidiabetic Property of Spirulina. Department of Food Science and Nutrition. Volume 35, Issue 2, pages 29-33. Maradona, R.M. (2008). Economic and Social Council Substantive Session for 2008 high-level Segment. This Year’s Theme is “Achieving Sustainable Development”. United Nations. Meyer, M.E. (2016). Spirulina Survival Food for a New Era: Amazing Healing Success with the Blue Green Alga. Books on Demand. Murray, M.T., & Pizzorno, J. (2012). The Encyclopedia of Natural Medicine. Third Edition. Atria Paperback; New York. eds. Pandely, A., D., Lee, D.J., Christi, Y., Soccol, C.R. (2014). Biofuel from Algae. Elsevier; California. Piccolo, A. (2012). Spirulina A Livelihood and A Business Venture. Smart Fish secure Fisheries Report 2011. European Union. Pitchford, P. (2002). Healing with Wole Foods: Asian Traditions and Modern Nutrition. Third Edition. North Atlantic Books; Berkeley. eds. Prasad, K., & Siddiqui, M.W. (2017). Plant Secondary Metabolites, Volume One. CRC Press. Reid, G., Charbonneau, D., Erb, J., Kochanowski, B., Beuerman, D., Poehner, R., Bruce, A.W. (2003). Oral Use of Lactobacillus rhamnosus GR-1 and L.fermentum RC-14 significantly controlled trial in 64 healthy women. FEMS Immunology and Medical Microbiology. Volume 35, Issue 2, page 131-134. Scheer, H., & Zhao, K.H. (2008). Biliprotein Maturation: The Chromophore Attachment. Molecular Microbiology. Volume 68, Issue 2, page 263-276. Selmi, C., Leung, P.S.C., Fisher, L., German, B., Yang, C.Y., Kenny, T.P., Cysewski, G.R., & Gershwin, M.E. (2011). The effects of Spirulina on Anemia and Immune Function in Senior Citizens. Cellular and Molecular Immunology. Volume 8, Page 248-254. Sircus, M. (2015). Treating Ebola and Other Infectious Diseases with Natural Allopathic Medicine. Lulu Press Inc.
Slotton, D.G., Goldman, C.R., & Franke, A. (1989). Commercially Grown Spirulina found to contain low Levels of Mercury and Lead. Nutritional Reports International. Taufiqurrahmi, N., Religia, B., Mulyan, G., Suryana, D., Ichsan, Tanjung, F.A., & Arifin, Y. (2017). Phycocyanine Extraction in Spirulina Production using agricultural waste. IOP Conference Series. Tietze, H.W. (1998). Supreme Green Machine. Jain Publishers; New Delhi. Umesh, B.V. (2002). Spirulina. Unicorn Books Ltd; New Delhi. Ed. Waldon. K., W. (2014). 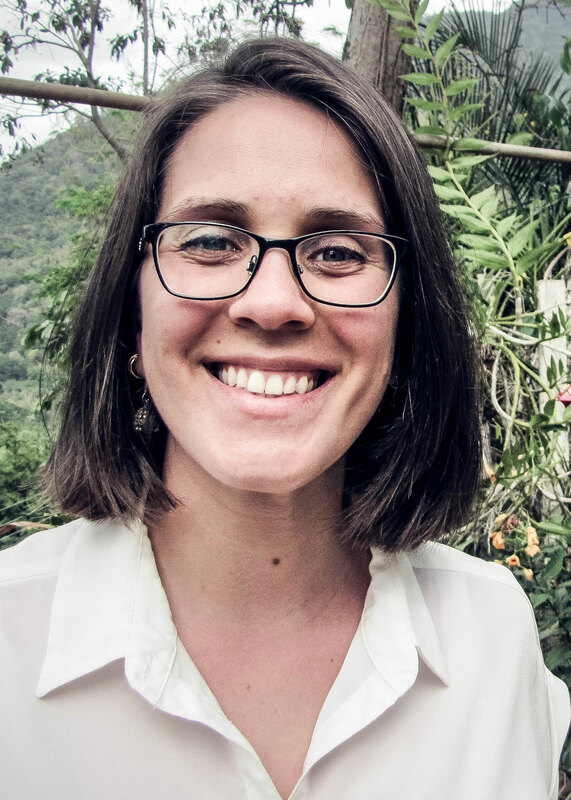 Advances in Biorefineries: Biomass and Waste Supply Chain Exploitation. Woodhead Publishing; Cambridge. Vonshak, A. (1997). Spirulina Plantensis Arthrospira: Physiology-Cell Biology and Biotechnology. Taylor and Francis Publishing; Isreal.